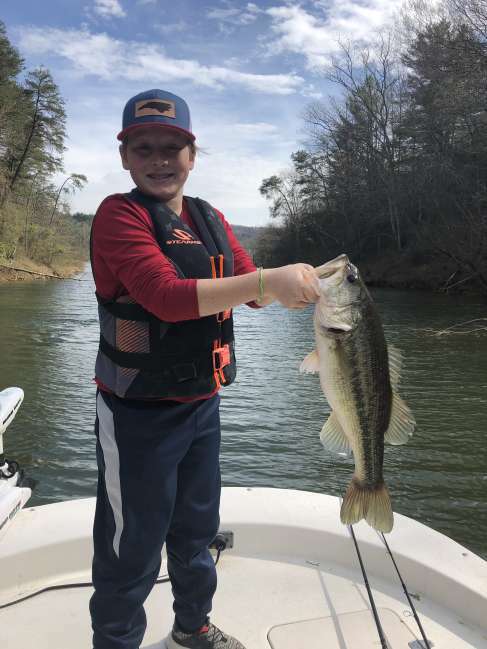 Ty and Wyatt Little both caught their biggest bass ever on Friday, April 6, fishing on W. Kerr Scott Reservoir in Wilkes County. Ty Little's bass was 22 1/4 inches long and weighted 6.89 pounds. Wyatt Little's bass was 22 1/4 inches long and weighed 6.75 pounds. Fishing with Kris Little, the five biggest bass of the day weighed 24 pounds. Ty (at top) is 13 years old; Wyatt (above) is 9.